*Update – May 26, 2016: Our hours have changed again. Please see the bottom of this page or the Contact page for our current office hours. Monday 3:00 p.m. – 4:00 p.m.
Wednesday 12:00 p.m. – 1:00 p.m.
Friday 9:00 a.m. – 10:00 a.m.
During these times one of our board members or volunteers will be more than happy to answer any of your questions, help you with your membership application or renewal, or just have a conversation. Feel free to drop in when it is most convenient for you. We’d love to see you! 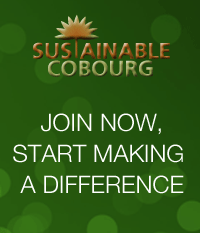 This entry was posted in Membership, News 2016 and tagged Cobourg, environment, green, local, Membership, Northumberland, sustainability, sustainable. Bookmark the permalink.